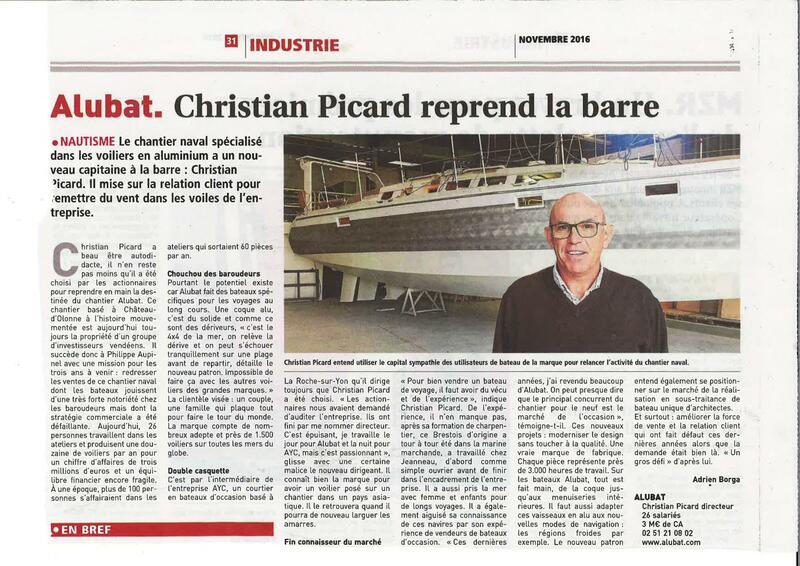 Appointed on last September, 1st the new CEO of ALUBAT by the shareholders, Christian PICARD takes the challenge of boosting the sales of the famous Vendée shipyard specialized in aluminium sailing boats designed for long distance journeys. His years of experience in the nautic industry, from boat production to sales, are an opportunity for ALUBAT to enhance its leadership on the long distance aluminium centerboarder boat market. Christian PICARD simultaneously remains head of his own company AYC International Yachtbrokers. Meet Christian PICARD and discover ALUBAT's know-how at the Nautic Paris Boat Show from December, 3rd to 11th 2016, hall 1 stand J39.